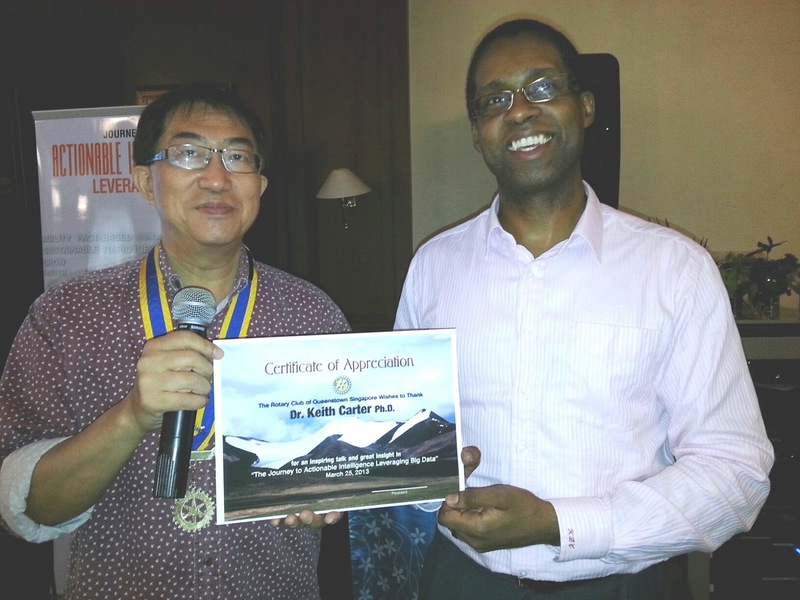 We had Adj Assoc Prof Keith Carter from NUS Business School joining us as our Special Guest Speaker at our Lunch Meeting today. Rtn Linda, our PR Chair who is with NUS arranged this special presentation on Action Intelligence and Decision Making for Business. Unfortunately Linda could not join us, as she was still nursing her leg. Nevertheless we had 24 Rotarians and guests at lunch and the talk was so engaging with so many follow up questions, that we ran into overtime. A very rare thing unless you can keep us rooted.